In a study conducted by Accenture in 2015 of chemical companies, results showed that 94 percent expect to boost their investment in digital capabilities in the next three years to embrace a competitive advantage. Adding digital functionality will increase customer satisfaction, streamline operations and improve efficiencies. Businesses are demanding the features found in most business-to-consumer (B2C) technologies, which allows them to easily search for products, compare features, shop for bargains, watch product demonstrations, track shipments and manage returns. With digital business-to-business (B2B) enhancements, industrial manufacturers can find prospective customers, research new suppliers, alert buyers to shipping delays and foster deeper trading partner relationships. Today, many companies have invested heavily in process automation and standardization to drive savings, improve efficiencies and enable control over internal operations. Some still have significant opportunities for additional efficiency gains, which can come from utilizing a B2B network to facilitate the buying and selling of products and services. Others add traditional licensed software or add-ons to the existing ERP to improve efficiencies, but when these solutions meet the outside world, they stumble for a number of reasons. First, numerous transactions between companies, such as orders, invoices, shipping notices, and status updates remain paper-, fax- and phone-based. Secondly, even though internal integration can be achieved through executive command, external supply chain partners – customers, suppliers and service providers – have their own way of doing business and won’t change their processes. Third, any changes required in the ERP system usually require resources that are already backlogged with unfulfilled requests. The reality is that companies can’t expect all their customers, suppliers and carriers to collectively adopt a single process. Instead, manufacturers and their trading partners want to conduct business in a network environment that allows easy connectivity without having to change the way they already work. These types of B2B networks are called Supply Chain Operating Networks, and they are real game changers, helping businesses to transform and connect through end-to-end visibility and an ability to scale across an infinite number of partners in an evolving marketplace. A Supply Chain Operating Network facilitates the exchange of documents and information, such as invoices, advanced shipping notices, status updates, and more, while participants execute specific activities such as tracking the location of shipments, confirming receipt of purchase orders, etc. This network-wide visibility, along with business intelligence and analytics capabilities, creates an inter-enterprise system of record that enables faster and smarter business decisions. B2B networks have evolved over the years from simple one-to-one connections to one-to-many connections. Historically, chemical companies buy from and sell to nearly every industry in the world, adding special demands for connectivity. EDI is historically a one-to-one exchange of information where companies focus on delivering data with a trading partner. Supply Chain Operating Networks offer a level of sophistication missing in EDI and typical B2B networks. The network is an ecosystem where once data is exchanged, all parties can see data in real time, modify process behaviors and collaborate with each other. Supply Chain Networks are growing significantly as businesses realize substantial benefits through their collective participation, enabling companies to more efficiently and effectively conduct business with each other. A network thrives when key pieces of commerce come together, so that the strengthened interactions across companies deliver prosperity and economic growth for the benefit of all participants. B2B networks give customers full visibility into their extended global supply chains through integrated messaging, applications, and analytics across their trading partners. Once connected, trading partners gain the ability to coordinate, communicate, and conduct commerce with each other in more automated and significantly scalable ways. Distributing business processes and sharing critical information helps companies differentiate themselves in the market, mitigate risk, accelerate their productivity, and create meaningful cost savings. The network fosters better collaboration and communication through the exchange of meaningful data. Incorporating elements from social media, partners can interact, share interesting trends, broadcast and “like” posts through the network. Just one single person can create massive change by sharing crucial information that can affect internal and external partners. Companies can collaborate on a much larger scale vs. traditional methods of email, fax or phone. Capitalizing on “the network effect,” the more partners connected, the larger the network, the more value the network gives to all trading partners that are attached. As business networks grow, just like with social networks, the value to participants explodes. The more opportunities a company has to conduct commerce with others – whether it is searching for new suppliers or prospective customers or trying to find a new carrier to ship a load – the greater the return. There is a tremendous amount of data flowing between buyers, sellers and logistics providers that can be captured and utilized to deliver more informed decisions. The wealth of data captured from raw material procurement through distribution to the end customer creates a comprehensive, holistic view of how a supply chain is performing. It feeds analytics and fosters collaboration and insights for continuous improvement and high operational efficiency. With the collective power of a supply chain operating network and its big data analytics, companies can be proactive and generate additional revenues, such as having the ability to unload inventory to another business on the network that is out of stock of the same products. As a chemical company buying and selling around the globe, it is important to utilize robust technology that automates processes across procurement, order fulfillment, and logistics, capturing data along the way, and analyzing trends and information across product, demand, and supply networks. A chemical company will thrive using a network that strengthens interactions across companies to deliver prosperity and economic growth for all participants. Supply chain operating networks are real game changers. Business is transformed when visibility across the entire supply chain is realized, helping a company to better understand where and when to source their raw materials, where to store their inventories, how to navigate delays in shipments, and how to optimally scale production to meet real market demand. 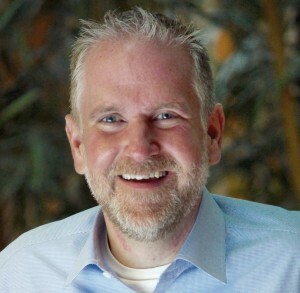 Ed Rusch is a modern marketing devotee, technology evangelist and commerce accelerator. He’s earned numerous promotions and awards for his ability to ask the right questions, listen intently, offer up solutions to real-world problems, and effectively lead meaningful change. Since November 2007, Ed’s contributions in the advancement of technology and business networks are delivering many impactful outcomes for clients. His current marketing leadership role as Vice President of Corporate Marketing at Elemica is a confirmation of his ability to expertly facilitate a buyer’s journey – enabling them to overcome complex challenges and become supply chain heroes.